Happy Friday all! I'm brimming with excitement for the weekend ahead! I have my birthday party tomorrow night and Vampire Weekend concert with manfriend Sunday. Top that! 1. BREAKING NEWS! 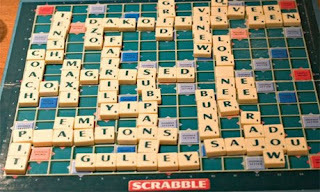 The rules to Scrabble are changing! Beginning in July, a version of the board game will be sold that includes allowing the use of proper nouns! WHAT!!!! The major tenet of Scrabble is devising non-proper nouns that you can convince the other players are real. This is a major shift, and one that I disagree with. I play Scrabble online all the time and this opens up a whole new realm of debate and controversy. I do support it becoming more pop-culture oriented. I'm going to school everyone if words like "Brangelina" or "Sexting" or "Edward Cullen" can now be used. Watch out! 2. Some idiot Quatari diplomat lit a cigarette on a United Airlines flight then mouthed off to the air marsha ll about having a shoe bomb. Not funny. He can't be prosecuted for this dumbass move because the law protects diplomats, but what in the world was this dude thinking? It's a miracle none of the other passengers attacked and killed him on board. A middle eastern (or any kind) man with fire and threats on an airplane = mob scene. Talk about reinforcing racial stereotypes. What an idiot. On another note, upon finding a photo of this man, he looks like he's 19 years old. How is Quatar finding their diplomats? A posted flyer with tear-off phone numbers in the college cafeteria? 3. 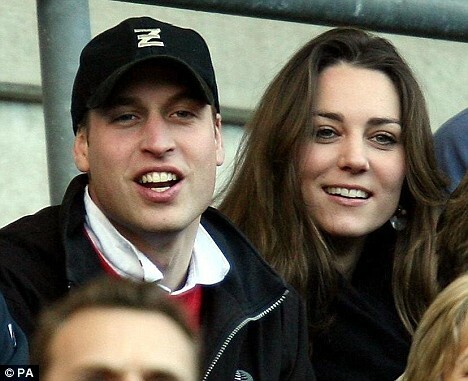 The rumor mill is once again churning that a Prince William - Kate Middleton engagement could be near. I try reserve reporting rumors for only the best of the best (sorry about the Beyonce pregnancy thing, I'm sad about that not working out, too.). Supposedly a "high-placed source in royal circles" is flapping his/her gums about the looming nupitals being tentatively scheduled for early June. Real life princes and princesses just get my little romantical heart a-flutter. The whole concept of royalty to me is so preciously throwback, kind of like when the electricity goes out and you have to function by candlelight. A royal wedding is fun, is romantic, and I can't get enough. 4. CNN Health is reporting that women's high heels are hazardous. Duh. 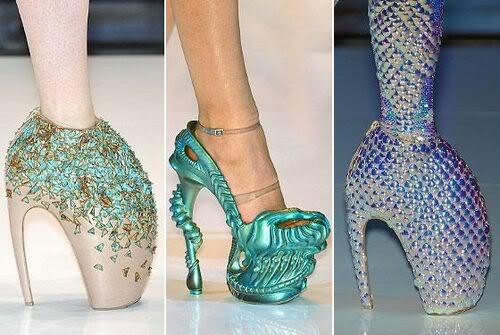 That's why I try to avoid wearing them, they're not actually designed for human feet. The late Alexander McQueen's collection of m ega-high heels last fall has perhaps prompted the recent craze. (See some of his creations from Lady Gaga's personal collection at left) They've tried to weave an element of timeliness into this slow newsday filler by adding a quote from their high heels expert, "heels tend to get higher during economic recessions." Hehehehe. This is ridiculous. If anything, when I'm strapped for cash my shoes get dowdier. Anway, the point of the story is that podiatrists everywhere acknowledge that heels can be dangerous and cause a host of foot-related problems, but people wear them anyway, so that's why foot doctors have a job. I'm so glad we got to the bottom of that. That Vinny, the picture of poise and grace. 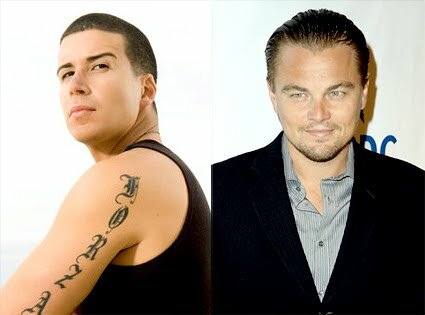 (I will admit that he probably is the classiest of the Jersey Shore stars.) This is the cast-mate who is supposedly incredibly intelligent and once considered law school, but come on, "What would Leo do?"? If your role model strikes your eye because of his cool nightclub behavior, you should consider a new role model. I love this comment. This is why they're such good television. 6. 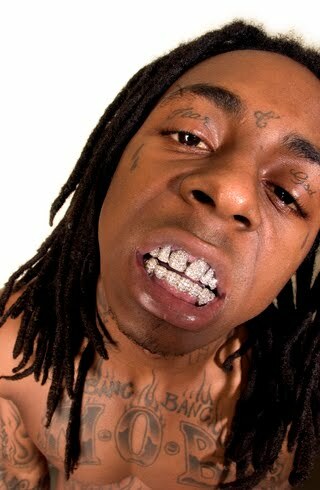 As you all know, Lil Wayne is in jail in in New York doing his time for finally getting caught for gun pos ession. While he's on the inside, his job is suicide watch for at-risk inmates. He keeps an eye on the crazy prisoners and makes sure they don't kill themselves. It really cracks me up that he is the guardian angel for other criminals. You know some ridiculous "Weezy saved my Life" profile is going to pop up in the form of a long profile or book. I can't wait. What pearls of wisdom is he imparting on these troubled inmates? They clearly couldn't give him a job that everyone else gets stuck with, like cafeteria duty or making license plates. He's famous, he must know how to talk people down. 7. 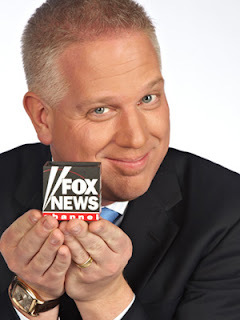 Various news outlets reported this week that Glenn Beck and made $32 million last year in salaries, book deals and broadcasting. He responded by saying, “I could give a flying crap about the political process, we’re an entertainment company.” My reaction to this story, which seemed to be everywhere, is two fold. On the one hand, it infuriates me that his anti-democrat, hyper conservative, apocalyptic and misguided political commentary can be so lucrative. But on the other hand, his open and voluntary admission that his work is "entertainment" seems like a weird thing to just come out and say. A weird thing that I vehemently agree with. Doesn't this statement pretty much undermine what he's trying to communicate? Am I the only one who sees this as a blatant "what I'm saying isn't real" sort of assertion? All my political persuasion aside, this comment really confuses me. Strange. Have a great weekend! I can't wait for the smorgasbord of fun to begin! I am appalled by item No. 1. Scrabble is dead. Long live Bananagrams! The Weezy saved my life bit made me giggle a lot.